Facebook and Oculus VR are working on a standalone Oculus Rift that will offer positional tracking, bridging the gap between high-end and mobile virtual reality. The Oculus Rift is great, but expensive when you consider the PC needed to run it; GearVR and other mobile headsets are more affordable, but the experiences aren't as rich. The answer is a headset that sits between the two, offering positional tracking without the wires, according to Facebook and Oculus. Mark Zuckerberg teased the new category at Oculus Connect 3, but didn't spill too many details other than that Oculus was working on computer vision software for position tracking. We were also treated to a short video showing a prototype of the mysterious new Rift, demonstrating its room scaling technology. That Oculus and Facebook seem to be building the device in-house means a move away from relying on Samsung for mobile VR. Of course, we don't know all the details yet. We've talked before about bringing positional tracking to mobile - and some of the people trying to do it - but it's demanding on power and battery, and smartphones themselves don't offer the same great VR games and experiences as the Rift and Vive. 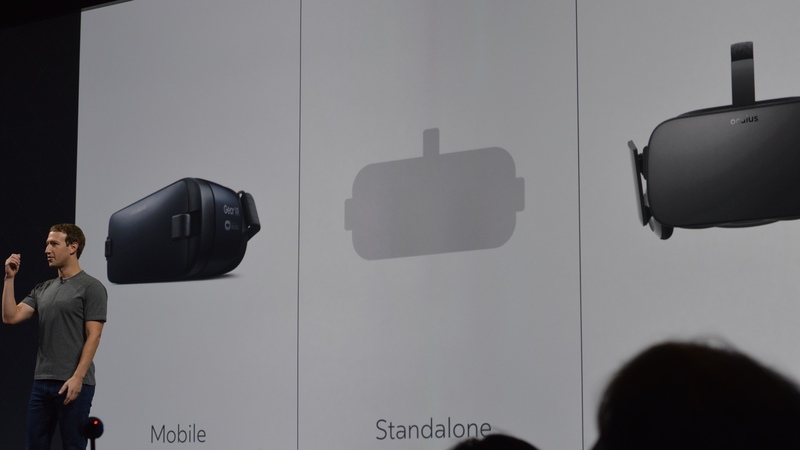 Oculus's new device could be the key to closing the gap.